Professional Charter Service is a bus, motor coach, and mini bus rental service in San Francisco that strives to deliver quality charter service to each and every customer and passenger. When you’re looking for the best-quality charter bus service, here are some of the things that you should look for that are also some of our distinctives. Have you ever gone to another city and rented a car, only to drive around and get totally lost? Or have you ever ridden in a taxi and suspected that the driver actually took a couple extra loops around the city before finally getting to your destination? 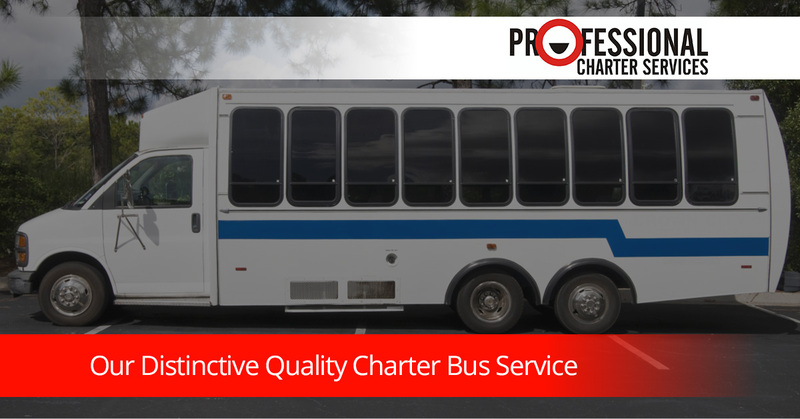 Neither of those things will happen when you charter a bus with Professional Charter Services. We are professional drivers and transportation experts, and we intimately know our way around the San Francisco Bay area. If you have a destination where you and your group need to end up, all you have to do is let us know, and you can leave the rest in our hands. Because our charter bus service doesn’t run on the same compensation model as taxis do, it’s in our best interest to get you to your destination as fast as possible. After all, the more runs per day we can make in each vehicle in our fleet, the better it is for us. Here at Professional Charter Service, we hire only the best drivers who meet our stringent hiring requirements. All of our drivers are drug tested and licensed, and we place a priority on your safety. While motor coach accidents are relatively rare in the United States, we don’t want you to spend even a moment feeling a little bit unsafe. Our drivers take their job seriously, and we are committed to making sure that your driver forms a great part of your experience. You can expect to be treated fairly, courteously, and professionally. Our charter bus service makes every effort to arrive on time (or even early) to your event, so whether you’re booking your bus rental for airport transportation, a wedding, a corporate event, or a field trip, count on Professional Charter Services to make it happen for you. Did you know that not every tour bus operator or charter service actually owns the vehicles in their fleet? While this may not seem like a very significant detail at first glance, it actually makes a big difference to you. You see, if a charter bus company doesn’t own their own buses, they don’t have as much of a vested interest in keeping the buses clean, comfortable, and well-maintained. It’s the same natural human tendency that plays out in the dynamics of how people treat a rental house versus a house they own. What this means for you is that, when you choose a charter bus company who owns their buses, they take pride in the care of their buses. You’ll ride in a clean, comfortable vehicle, not a dilapidated one that has a few broken things that no one has bothered to fix. For people anywhere in the San Francisco Bay area, bus rental from Professional Charter Services is a quality option for you. We serve many different groups for different events, so check out our list of the types of events where we can serve you. Even if your exact event is not on the list, give us a call anyway, because it’s more than likely that we can help you out. We look forward to playing our part in the success of your group event with our distinctive, quality service. Contact us today to ask for your free, no-obligation quote!